I can’t even pretend to be young anymore, especially now that Davy Jones has died, suddenly, from a heart attack. I mean, I came home from work, fired up my laptop to check my email and Twitter and the news greeted me like a smack in the face. Davy Jones. Davy freakin’ Jones. Even his name sounds perpetually youthful. I’ve been a fangirl for ever. 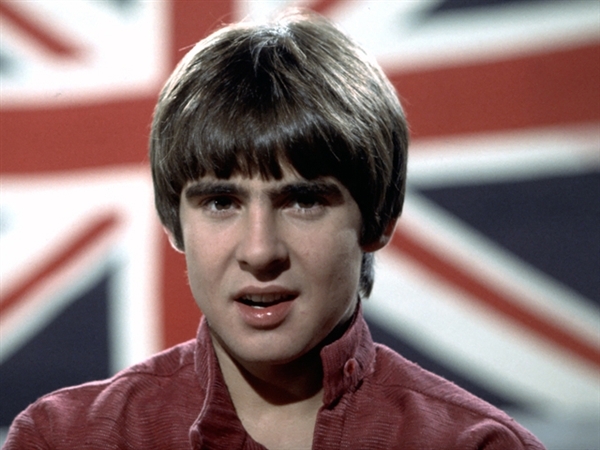 And Davy Jones was my first ever boy crush. I was young, only 5, when The Monkees aired on tv, so I am guessing that I fell in love with Mr. Jones during re-runs at a not-too-much-later date. But love him I did. Maybe it was only because he was impossibly cute and had that groovy British accent (and England would have been totally exotic to me). It probably wasn’t because I understood The Monkees, which I remember as being sort of goofy and loud and the best bit was always when the band sang. I loved The Monkees’ music, though. If you didn’t know any better, you might be able to dismiss them as a made-up TV band pre The Partridge Family (albeit with slightly more pedigree because we all know Danny Bonaduce was not playing that bass, right?) But what you might not know is that at the height of their popularity, in 1967, The Monkees sold more albums than The Beatles and The Rolling Stones combined times two! Those are some serious bragging rights. I saw The Monkees live once in the mid 80s. They were doing a reunion tour with Herman’s Hermits and Gary Puckett and the Union Gap and ended up at Ontario Place. I took my father. It was a beautiful summer day and while it was pleasant to listen to the first two acts, but I was really waiting for The Monkees. Mike Nesmith had declined to be part of any reunion, even way back then, but it didn’t matter. Peter, Mickey and Davy rocked that joint. And I sang every single song at the top of my lungs – joyfully. Because that music was joyful. And it still is. There are tributes flying all around the Internet. Here. And here. And here. It will be interesting to see what the media makes of Davy’s death and his place in pop music’s canon (especially given all the fuss over Whitney) in the coming days. No disrespect to Ms. Houston, but she did kinda have a hand in her own demise. Davy, on the other hand, is being remembered as a man who loved his fans, loved to perform and never once badmouthed the tv show that made him an international superstar. I am not ashamed to admit that his death has made me very sad. Good one Christie! Who could not love this guy? As for Ms. Houston…I am baffled at the attention she drew after her death. I don’t have anything against the woman (I loved her voice) but having the US flag at half mast in NJ was ludicrous! RIP Mr. Jones. Well, to be fair, there was a lot of stuff about Davy Jones on the ‘net yesterday. I think the fanfare re: Whitney was a bit much myself, but no question, she had talent. I thought of you last night when I heard the news. When did we become middle- aged? Um. You are not middle aged!